2018 marked a year of significant transitions for CalCAPA Training & Technical Assistance. 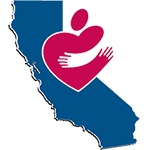 CalCAPA partnered with the Department of Community Services and Development to provide T/TA services in 24 unique engagements including significant support for Shasta and San Francisco. In addition, CalCAPA began the process of standardizing the main curriculum of CSBG Organizational Standards training programs and successfully experimented with additional delivery formats. CalCAPA’s push for organizational effectiveness inspired changes to its staff and future engagement technologies. 1. Spotlight on Board Governance. CSBG Organizational Standards stipulate required training timeframes for new and existing board members. So, it is no surprise that training for boards topped the list of referrals and requests across the CAA network. What may be more intriguing is the introduction of webinar-based training to the available pool of training technologies that are available to meet compliance. 2. New Executive Director Bootcamps. The network is seeing an increase in the frequency of requests for new executive director training. CalCAPA recognizes that several agencies anticipate new executive directors soon and the training approach demonstrated in 2018 received high marks for effectiveness by new ED's. Expect more in the year to come. 3. ROMA Training and Capacity. During 2018, CalCAPA enabled training directly to 2 agencies and supported a cohort of ROMA Implementor certification hopefuls. The demand for ROMA implementors across the state has fueled a surge in support for additional training and certification opportunities. CalCAPA will be announcing more information on the expansion of ROMA capacity for California CAA’s in the coming months. 4. Organizational Leadership through StrengthsFinder. Many agencies are taking advantage of the Organizational Leadership effects of proven soft skill development. In 2018, a few agencies participated in StrengthsFinder workshops to identify the behavioral strengths of their teams. Based on the success of StrengthsFinder, CalCAPA is exploring additional ways of enabling leadership success in California CAA’s. During 2018, CalCAPA participated in much more development with CAA's including technical assistance with Strategic Planning and Consumer Data Collection. CalCAPA’s plan for 2019 includes several focused attempts to provide more technical assistance to more agencies. Here are a few things to look forward to in the coming year. 1. CAA Needs Analysis. CalCAPA will be conducting an in-depth needs analysis of California Community action agencies to ensure efficient prioritization of development activities. 2. On-demand Training and Tracking. CalCAPA is in the development process of building an online Learning Management System (LMS) similar to several found around the country. CalCAPA is spearheading the development of the newest Board Member Orientation training from CAPLAW. The new eLearning course is scheduled to launch by Q2 2019. Please, contact CalCAPA if you are interested in beta-testing the new training. 3. Affinity Groups. A frequent request at the CalCAPA Annual Conference was the desire for the ability to share best practices across the network and get real-time answers to questions. CalCAPA is developing a tool to help leverage the amazing leadership of successful programs to build the capacity of agencies across the state. Expect announcements for the new affinity group tools by 2019 along with the LMS launch. There is much more slated for development in 2019. Our goal at CalCAPA Training and Technical Assistance is to make useful tools available and provide the best, state-of-the-art training resources to enhance California CAA program outcomes. It is an honor to support the great work of your agencies. CalCAPA is open to your feedback and collaboration as we build a premier Training and Technical Assistance program.